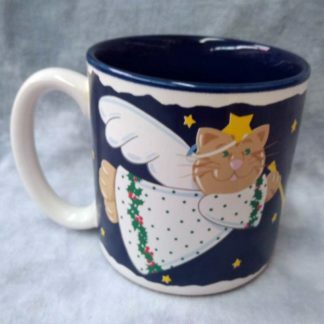 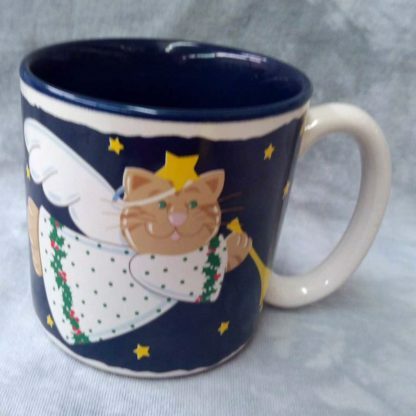 11 oz mug with Festive orange tabby cats with wings and a Holly angel dress flying through the night sky while playing gold horn. 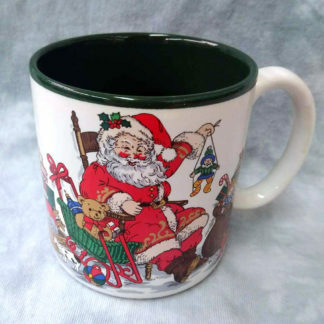 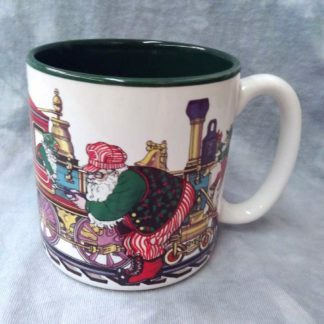 Christmas Cat Angels 11 oz mug. Festive orange tabby cat with wings and a Holly angel dress flying through the night sky while playing gold horn.